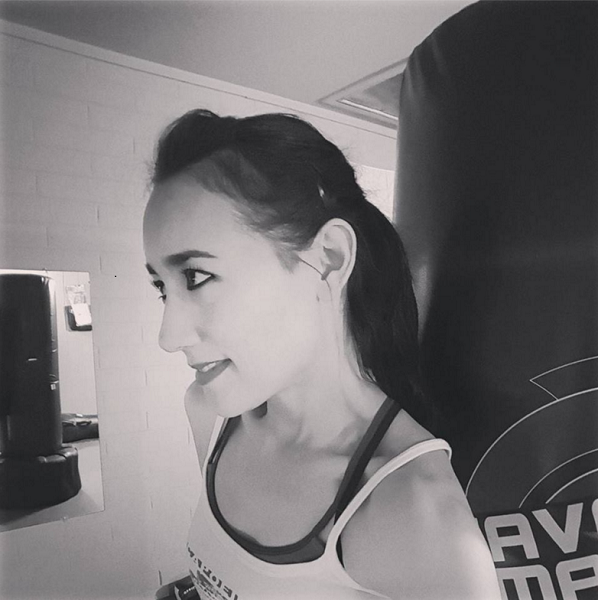 This being a new month, I wanted to stay on trend and post about my favorite things from the previous month, but when I sat down to do it, I actually couldn’t think of anything new I loved in December that I didn’t already love in November. However, it’s only the 8th of January and there’s already a growing list of simple-pleasures things tickling my fancy, so when February rolls around, there’ll be that. So, what I thought I’d share with you today is an odd thing I never noticed anywhere before. Maybe it’s just me… you know how you can walk by something a million times and never notice it? 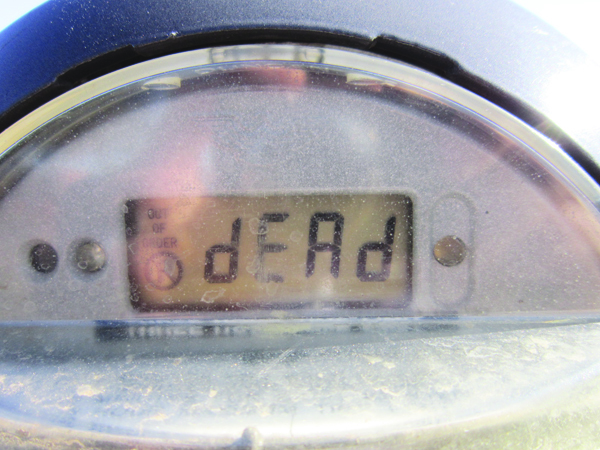 This might be one of those things: I just recently became aware that some parking meters display messages. 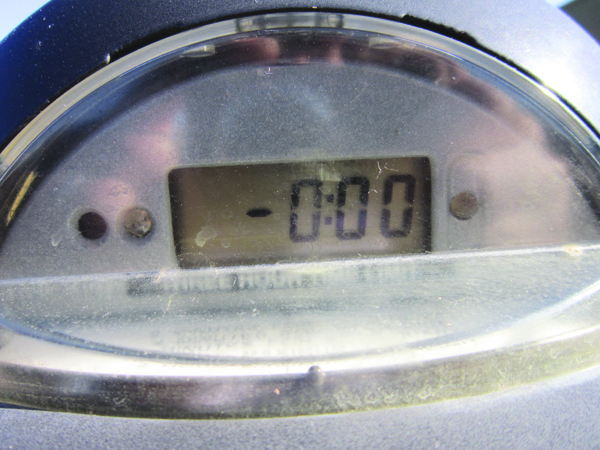 That is, they display information other than the amount of money left on the meter. This parking meter has no money left on it. 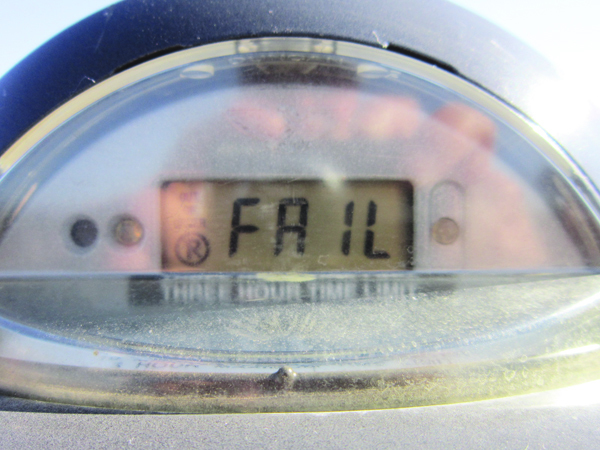 This parking meter is FAIL. Clearly, the people who work for the City of Tempe enjoy this part of the job! Maybe they’ll see this post and know that someone was amused. ← Presenting the First NOT UNLIKE of 2014! I love this! Dead And Fail!!! Parking meters can be so boring and tedious! These actually step it up!! !